For Dry to Normal Skin, slightly Wrinkled. Bio Line contains Elastin to give elasticity to the skin, Placenta to firm the skin and Collagen to pump the wrinkles. Very soft and silky make-up remover. 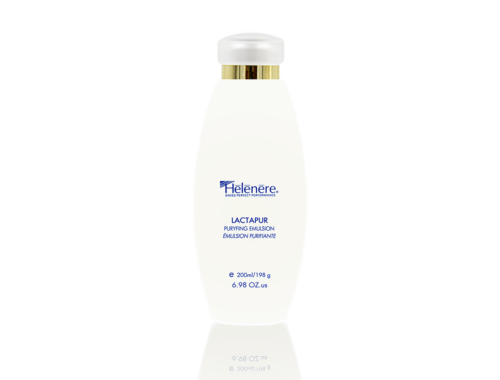 Lactapur softly cleanses and dissolves make-up and impurities and gives the skin a luminous and clean aspect. Apply morning and evening to face and neck with a light massage and remove with cotton wools moistened with Hydratonic (V201). Tonic lotion without alcohol with a purifying action that soothens and clarifies the skin. Hydratonic contains and hydrating agents preparing the epidermis for successive daily cares. Apply morning and evening to face and neck; it can also be used throughout the day to refresh the skin. 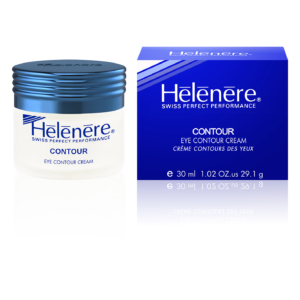 Hydrating and protective day cream that soothes dry skins and restores the skin’s brightness. The epidermis is better anchored and hydrated, the wrinkles are reduced. Apply every morning to face and neck. 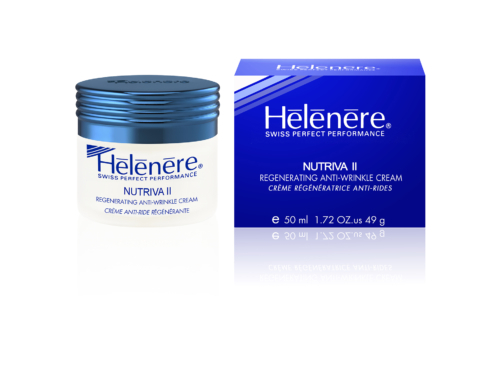 Helenere Bio Line offers two night creams, Nutriva I and Nutriva II to assure you with the best and most efficient skin care night treatment to your skin. This nourishing and regenerating night cream is designed for dry skin. Nutriva I effectively revitalizes the skin, restores the overnight cell renewal cycle altered by stress and reduces premature wrinkles. Apply every evening with a light massage to perfectly cleansed face and neck. This extremely rich and regenerating night cream is designed for mixed skin types and for an intensive anti-wrinkle treatment. Nutriva II speeds up the cell renewal process and increases the natural moist level of the skin with protecting it against premature skin ageing. Apply every evening with a light massage to perfectly cleansed face and neck. 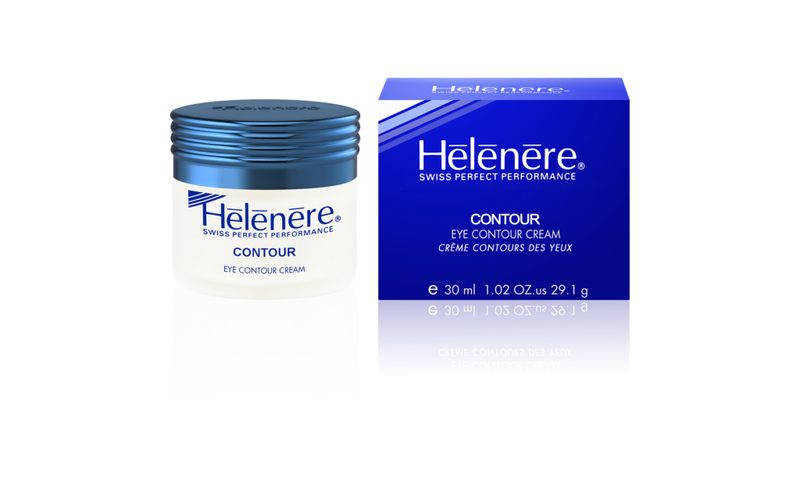 The Eye Contour Cream is the second cream designed specifically for your eyes among the Helenere lines. This highly regenerating cream fights ageing marks by revitalizing and repairing the fragile epidermis around the eyes. It soothens the eyelids and improves the skin’s elasticity. Wrinkles and circles are reduced. Apply morning and/or evening with gentle taps around the eyes. This exfoliating cream with quartz deeply dissolves the impurities and the dead cells and tighten the pores. Clearer, the skin is also softer. Apply one or twice a week before using any masks on your skin; for a perfect result, apply Hydratonic (V201) tonic lotion after the peeling and after the mask. This emulsion with liposomes fights against the cellular and tissue ageing and repairs efficiently the skin: it regenerates and restructures it, strengthening the firmness of the epidemic tissues. Apply Hydraxome morning and after having applied Seroxome (X101). This regenerating and restructuring serum with liposomes particularly reinforces the epidermis cells and fights against skin relaxation and ageing. Apply Seroxome morning and evening to a perfectly cleansed face and neck and follow with Hydraxome (X100).